So, you’ve decided to totally cut out yummy yet unhealthy foods. Some people in your inner circle have told you “Congratulations!” Meanwhile, others may have told you “You poor thing!” Fortunately, eggs are one thing you don’t have to cut out. In fact, eggs may be the key to your weight loss success. Here’s a rundown of why eggs are such a super food for when it comes to losing weight, according to the experts at highly rated egg provider Norco Ranch. 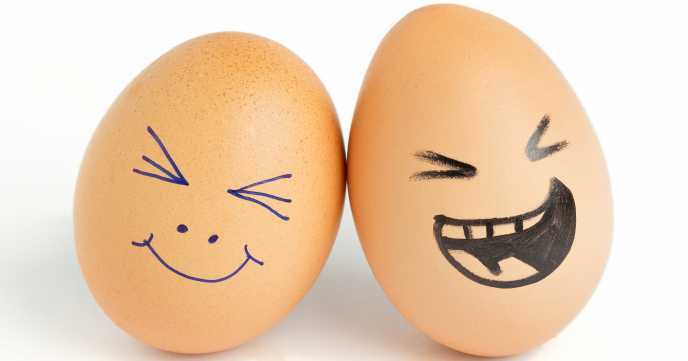 A large egg features only around 78 calories, but it’s still extremely nutrient rich. In fact, egg yolks are particularly healthy. If you combine two to four eggs and then add a nice serving of your favorite veggies, you have a full meal for just 300 calories. You can’t beat that. Of course, remember that if you decide to fry eggs in butter or oil, you add around 50 calories for every teaspoon you use. Another perk of eggs? They contain a large amount of protein, which is filling. As a result, eggs are known to decrease appetite compared with foods that don’t feature as much protein. The less hungry you are, the less you’ll eat — especially when it comes to between-meal snacking or late-night eating — and the more pounds you’ll shed. Yet another reason to embrace eggs, such as Norco Ranch eggs, is that they feature all of the important amino acids. But that’s not all. These acids are also in the correct ratios. What does this mean for you? Your body can effortlessly use eggs’ protein for metabolism and maintenance purposes. Research indicates that eating a diet that is high in protein can boost metabolism by as many as 100 calories each day. This phenomenon is known as food’s thermic effect, or the energy your body needs to metabolize food. Translation: High-protein eggs can easily help you to burn those extra calories and ultimately eliminate those extra pounds. Want to lose weight? You’ve got to eat — breakfast that is. Nonetheless, not all breakfast items are created equal. Many research studies have looked at the impacts of consuming eggs versus other breakfast items featuring the same number of calories. According to researchers, eating eggs rather than bagels, for example, will make you feel fuller and thus cause you to consume fewer calories over the next day and a half. So, be sure to up your egg intake if you want to lower your weight long term.